The guy in town whose made an heroic attempt to only eat local food for an entire year has decided to call it quits after eight months. Justin Rothboeck, a law student at Willamette has been documenting his local food journey on a blog called The Salem Diet. The blogger believes that he has a lower energy level from eating "way to much meat." Needless to say, he's longing for fresh fruits and vegetables, pasta and yeast. To see a grocery list of his post diet purchases go to his blog at salemdiet.blogspot.com. Nice work Justin, you have inspired many people to take a closer look at where food is grown and produced before consumption. You have learned a lot about what is growing in the Northwest and what it takes to get that food to a plate. We have learned that there is enthusiasm and demand in the community for local products and that there are real people out there that are actively searching for solutions to make all of our lives better. I'd like to buy you a dinner at a local restaurant to help ease yourself back into a normal diet. 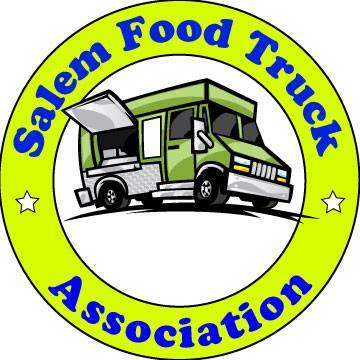 Send me an email at eatsalem@gmail.com. Keep us informed of your progress toward graduation and any new blogs. I was worried that the winter would be too tough to deal with on top of law school. Do you think you'll give it another shot in the Spring? Thanks for the inspiration, Justin. When I think of fresh grapes from Chile in January, I'm torn between the absurdity of shipping food that far and the gratitude of having that option. It's hard to find anything local and fresh in the winter, without having a greenhouse. Breads and pasta will always be a problem if you want to use locally grown wheat. Rice is pretty much out too. Santiam freezes lots of local vegetables though, so they shouldn't be a problem. I wonder how long it would take to see more local offerings in the winter, if more of us would attempt the 'locovore' diet?